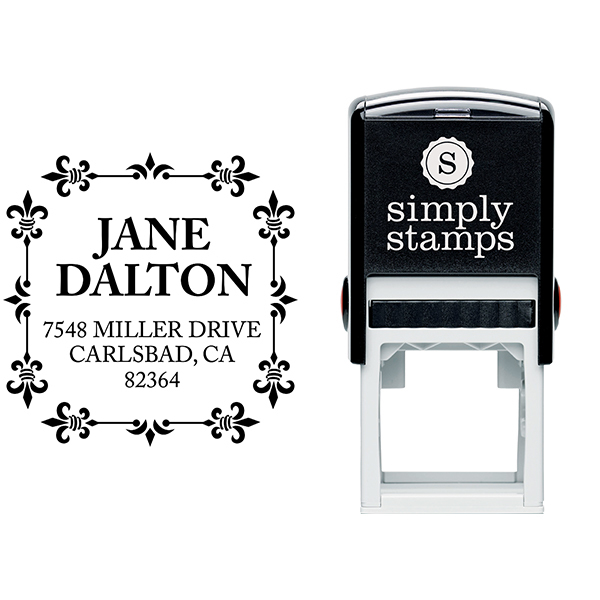 The Alana Square Custom Address Stamp is perfect for those who love art deco style borders that have a elegant flair. 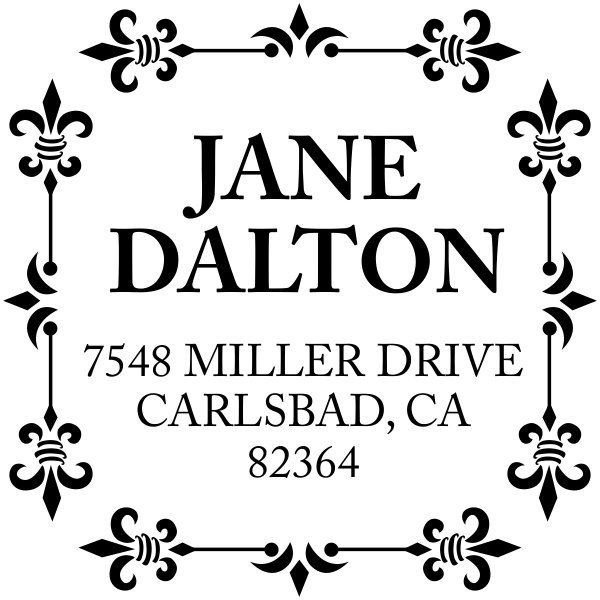 This beautiful stamp features name and address in the center with scroll decorations surrounding. 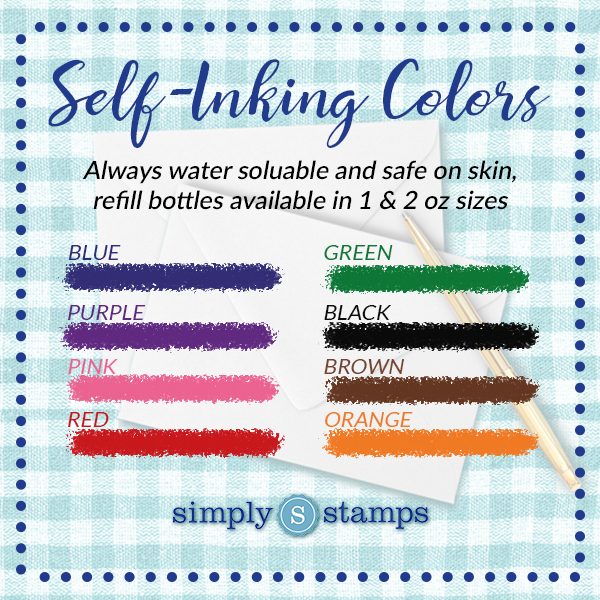 Size: 1.625" Order online today for your very own! 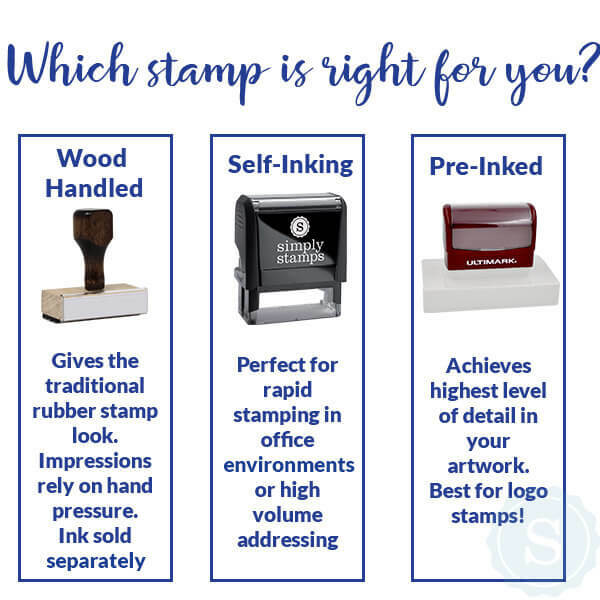 Want an address stamp that is decorative but not too over embellished? 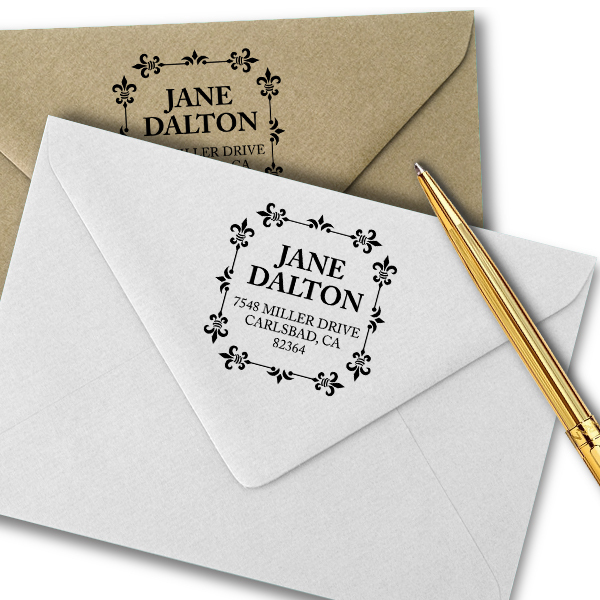 The Alana Square Address Stamp is a great way to put your individual style on your personal mailings. 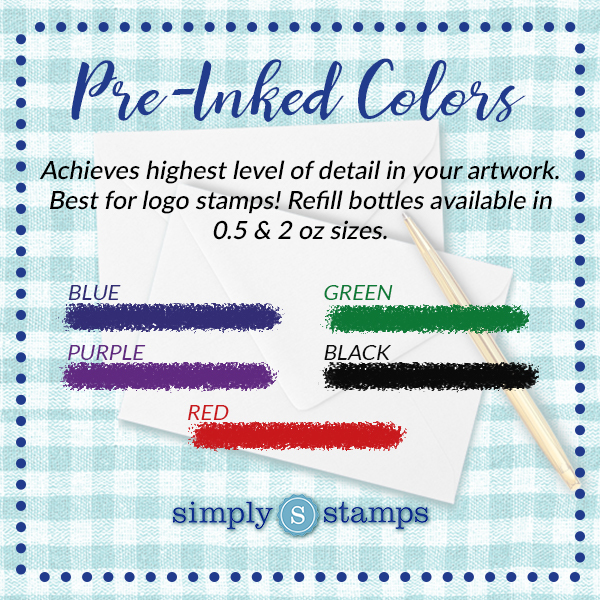 Order today & ships next business day!